John Bosco or Giovanni Melchior Bosco was born of poor parents in a small cabin at Becchi, a hill-side hamlet near Castelnuovo, Piedmont, Italy on August 16th, 1815. Shortly after his second birthday, his Father died. His mother, Margaret Bosco now had to support John and his two brothers and this she did wonderfully and selflessly. John worked from an early age as a shepherd. Living very simply, he received his first education from his parish priest. He had a very quick mind and was able to retain things quite easily, however due to the fact that his family was so poor, he often had to go and take care of the sheep instead of attending to his studies. In 1835, at the age of 20, he entered the seminary at Chieri and was ordained a priest on the eve of Trinity Sunday by Archbishop Franzoni of Turin after studying there for 6 years. After his ordination, he began to perform his priestly duties in the city of Turin. One such duty would in fact change his entire life. John accompanied a friend Don Caffaso on his visits to the prisons of the city. The prisons of that time were much different than that of today’s western world. There was no such thing as Juvenille Hall. Every delinquint would be thrown into the same jail. Upon seeing these young boys being brought up by these hardened criminals, it broke Bosco’s heart and he made a decision that he would help these children, so that they would have a real future, not one that would end on a rope. St. John Bosco’s first encounter with one of these children was on the Feast of the Immaculate Conception, December 8th, 1841 when he met Bartollomea Garelli, a boy who had been previously run out of the church for refusing to altar serve by the sacristan. Bosco began his friendship with this poor child and would begin what he called “Oratories” (Places centred around prayer which was based off of St. Philip Neri’s Oratories) to get these young boys off of the city streets and give them a life and purpose in Jesus Christ. Upon beginning the instruction of Bartholome, his young companion friends soon followed suit, all drawn in by the charity of St. John Bosco. This simple act of loving these boys into the Kingdom proved itself a worthy endeavor. In February 1842, the Oratory numbered twenty boys, March of that the same year, thirty, and in March 1846, four hundred boys had come to be part of the Oratories. As you can see, it grew at an incredibly fast rate. A suitable place to take these boys became a prominent question. He would take them for walks and spend time simply hanging out with them. St. John Bosco wanted to save the souls of these boys very badly and it was obviously God did too, and so God gave St. John Bosco many spiritual sons to care for. In the Fall of 1844, Bosco was appointed as the assistant chaplain to the Rifugio, where Don Borel joined his work. With the approval of Archbishop Franzoni, two rooms were secured adjoining the Rifugio and converted into a chapel, dedicated to St. Francis de Sales (author of the classic work, Introduction to the Devout Life). The members of the Oratory now gathered at the Rifugio, and the boys from the area applied for admission. From here in 1845, Bosco began his night schools and the factories closed at night, the boys flocked to these Oratories where Bosco and Borel taught them. Just like what all the great Saints experienced, there were major let downs along the way, however he never gave up. People even accused him of being insane due to his high level of tenacity to the point where people even attempted to throw him into an asylum. People complained and made a fuss, accusing him of being an annoyance. Basically they just wanted him out. From the Rifugio the Oratory was moved to St. Martin’s, to St. Peter’s Churchyard, to three rooms in Via Cottolengo, where the night schools were resumed, to an open field, and finally to a rough shed where a future Oratory would be built that counted seven hundred members. Bosco found a place nearby to live, where he was joined by his mother. St. John Bosco’s mother, lovingly nicknamed “Mama Margaret” devoted the last ten years of her life lovingly serving these children. With a true mother’s heart, she sacrificed everything she had to give these little children a new life, including her own home and even down to her own jewellry. Because of her self-sacrificing maternal care, matched with her son’s zeal, the evening classes increased and slowly dormitories were given for many of those who desired to live at the Oratory. This was the first Salesian home, which houses approximate 1000 boys currently. St. John Bosco’s true charity was what changed the hearts of these boys and was the prime characteristic of the Oratories. St. John Bosco was prone to receive visions from our Lord. In one such instance in his early boyhood it was told to him what his lifework would be-working with these little ones. In the vision, the voice stated, “Not with blows, but with charity and gentleness must you draw these friends to the path of virtue.” This was his Motus Operandi for the Oratory. Especially in the beginnging, he would give the young boys small presents and attractions, and take them on pleasant walks to favorite spots in the Turin Area. These excursions would happen on Sunday where Bosco would begin by saying Mass in the village church and would then give a short teaching on the Gospel; breakfast, followed by games; and in the afternoon Vespers would he chanted, a Catechism lesson would be given, and the Rosary recited. According to the people of the area it was not uncommon to see him in the field surrounded by boys kneelings and praying in preparation for the Sacrament of Confession. St. John Bosco left a significant legacy. St. John Bosco died on the 31st of January 1888 at the ripe old age of 72. 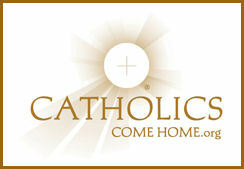 At that point, according to Edocere (http://www.edocere.org/st_john_bosco_bio.htm) “there were 250 houses of the Salesian Society in all parts of the world, containing 130,000 children, and from which there annually went out 18,000 finished apprentices. 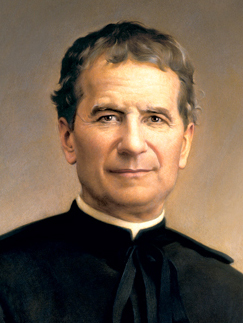 In the motherhouse, Don Bosco had selected the brightest of his pupils, taught them Italian, Latin, French, and mathematics, and this band formed a teaching corps for the new homes which quickly grew up in other places. Up to 1888 over six thousand priests had gone forth from Don Bosco’s institutions, 1,200 of whom had remained in the society. The schools begin with the child in his first instruction and lead, for those who choose it, to seminaries for the priesthood. The society also conducts Sunday schools, evening schools for adult workmen, schools for those who enter the priesthood late in life, technical schools, and printing establishments for the diffusion of good reading in different languages. Its members also have charge of hospitals and asylums, nurse the sick, and do prison work, especially in rural districts.” The society now has houses all over the world. He was Beatified on June 2nd 1929, in Rome by Pius XI, and was Canonized April 1st 1934, in Rome by Pius XI as well. His Feast is celebrated on the Feast of his death, January 31st, and his patronages are: Christian apprentices, editors, publishers, schoolchildren, young people, magicians.